The Brinkman Adventures: Season 3: A T. O. S. Review | My Journeys Through Life . . . Herding Cats In New Mexico! My boys and I have been listening to a wonderful set of real life dramas from the company Brinkman Adventures. 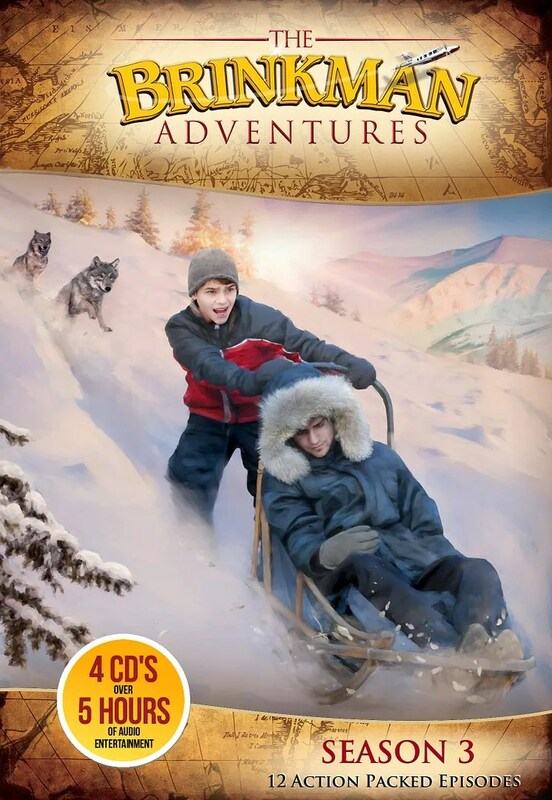 We have been enjoying The Brinkman Adventures: Season 3 so much! We received the CD version of Season 3. Though we had never heard season one or season 2, that did not matter one bit. The episodes in season 3 stand alone, as I expect those in the other two seasons would, too. Mr. Brinkman believes he was absolutely called to do this, and that it is an act of obedience to the Lord. Making this program, he and his family play the main characters (although their names are changed), and they interact with many people in the missionary life. You can read more about how this came to be here. Season 3 comes as a four disc set. Each CD has three episodes on it. The stories we have been listening to have ranged from adventurous, to funny, to downright dangerous. They are all true stories, with some details and/or names beeing changed. We really, really love them! This large family of ten has put together what could basically be called reality programming for the radio, and this is the sort of reality program my husband and I have no problem with having in our home. The stories are just the type to cause us to think hard about what missionaries endure, and to remind us to ALWAYS be in prayer for them. Those of us who cannot go out to the foreign mission field, are still part of the mission work, whether through prayer, through giving, through producing programs such as The Brinkman Adventures: Season 3, and even by being among those who purchase these programs. Without doubt, I encourage you to check out these wonderful programs! If you’d like to hear an episode for yourself, and download some printables to color, check them out here. Through the month of November, The Brinkman Adventures is offering their quarterly newsletter, three free episodes, and a chance to win a full season of The Brinkman Adventures!